Over Yom Tov there was lots of discussion amongst the Yungeleit about Chabad not saying Akdomus or Megillas Rus. They wanna know why not? It seems like there's more of an awakening these days. They wanna know "Mah Nishtana?" us from them? I don't think it's a lack of pride or doubting their ways, just a bechina of da mah sheToshiv. Ok, OK, calm down, all of you. I wasn't calling you Apikorsim, it's only a figure of speech. Really. All this discussion gets one thinking: In my humble opinion there's a moment on Yom Tov when one could say that at that moment was his Kabbolas HaTorah. Vos heist? Well, you might say that Kabbolas HaTorah happens when one accepts upon himself Hachlotos Tovos in the realm of learning and being a better Jew. That moment most likely doesn't happen during Shavuos night - whether you learn BeHasmodoh Rabboh or say "Tikkun" like a boorish Chossid - at least that's how I see it. There isn't that one moment anytime during the night, it just doesn't lend itself to it, I'm sorry to say. You can't tell me that when you're arguing over the Pshat in a tosfos that you feel any different than on a poshuter Mitvoch. The same goes for the "Tikkun-sayers;" It doesn't happen between Mitzvas Asey 112 to 113. After some thought I figured it out. If you've ever been to a Rebbe or a Gutter Yid where he does the honors you know what I mean. It's not the Aseres HaDibros that one feels the moment. After all, exactly which of the Dibros would cause that? I'll go out on a limb here and say that it happens during Akdomus. Pick and choose the posuk that most suits the need, but it happens. There's the fact that there was all this preparation with the cheder yinglech. 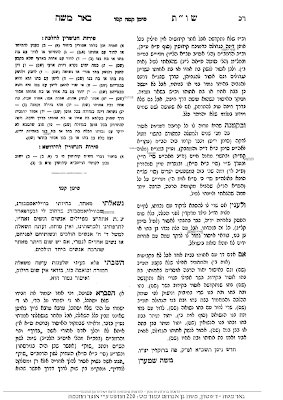 The Rebbe/Gutter Yid is on a high, BeHislahavus Atzumah, and the Oylem reciprocates. 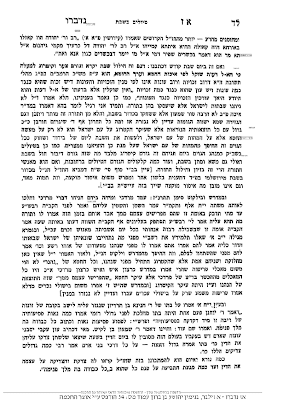 At that time, when the Rebbe/GY is saying his two pesukim, then the oylem has a chance to contemplate the meaning of the YT, and what is expected of them. You might say it was like the hefsek between the sets of tekios, where the Baal Tokea either says a יה"ר or is מתודה בלחש, those seconds can be very precious if utilized properly. If you think these are the thoughts of a foolish Hungarian wannabe like myself, think again. Several people told me לפי תומם when I asked them about it that this was the closest thing to the truth. That despite their misgivings about frum society as a whole saying Akdomus at so-and-so's minyan KeVosikin you mamesh feel like you're elevated to the highest spheres. "Like you're at barg sinai," like one fellow told me. 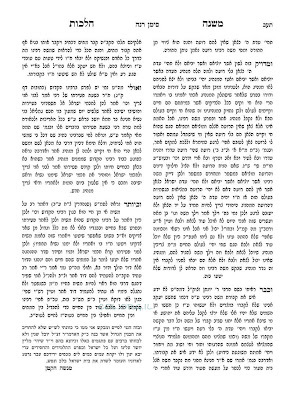 I may have written here once about my zeide's trip to Kosoni for Shavuos, 1943, to the Rebbe di "Ohr Mooleh," HY"D. The Kosonyer bichlal was known to daven עד אפיסת הכחות ממש, and Shavuos was no exception. My zeide told us how מ'האט געשפירט ווי מ'שטייט ממש ביים בארג סיני. Take that for what it's worth, but I would think that a whole lotta of Tshuvah - especially in 1943 - was done at those moments. I'm not here to judge whether or not those undertakings during Shavuos morning are sincere or not; the fact remains that they're there. They exist. They happen. Whether or not we keep them is another discussion for another time. So we've taken care of a large segment of the Charedi population: Most Chassidim and maybe some pockets of Hungarians like Erloi and Vien. I don't think Yeshivishe places koch zich in Akdomus, even if they do say it, so you might say that they share the problem with Lubavitchers. When is their moment and when is mine? We're a generation that needs our Chitzoniyus, we cannot do it like the previous ones did. When was I supposed to experience it? למה נגרע?! I see that the procession of VIPs to the Kotel is going on all week in Yerushalayim, there's Tashlumin Kol Shivah. Can I have that week to make up for the missed experience?! On this, Memorial day in these United States, let us remember the battles that were fought here on the shores of America, between two unlikely groups of soldiers or fighters - The Satmar and Kluj, aka Klausenberg sects, using nothing but stick, stones, graffiti, and an occasional firebomb. What? you didn't know that there were battles fought in the hard-nose streets of Brooklyn in the 50's and 60's? 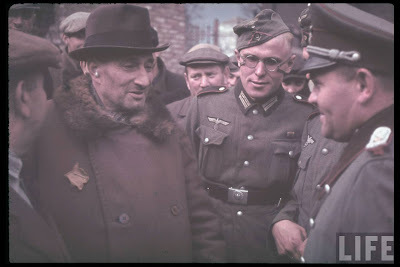 And they involved frum Jews fighting amongst themselves? There's nothing very novel about these altercations, they're quite traditional, actually. Some people would say that it's mandatory; if you have no history of fighting then your group hasn't been initiated into the Chassidic fraternity. When you confront them about the violent history then don't apologize; they're proud of their heritage. After all, it's a rite of passage, no need to feel sorry for it. Damage of property, Mesirah, damage of persons, all that doesn't matter, it's the tradition that does. He/they had it coming. Why then is this any different than any of the other incidents? It's simple. This was taken to another low. They basically followed the Klausenberger Rov to Yerushalayim and harassed the man who lost a wife and 11 kids to the Nazis just a bit more. In case he still hadn't had enough on this world. Yes, there were plenty of Satmarer and Kanoyim there before he came to spend Shabbos there, but this wasn't Williamsburg, they couldn't claim this as Satmar territory. This, I believe, was unprecedented. 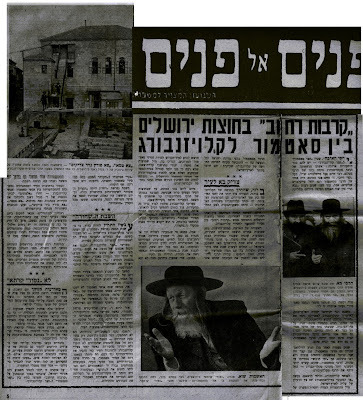 The Satmar Rov had left Yerushalayim 15 years before and the whole landscape of the city had changed. Despite carrying the title as Nosi of the Edah he was obviously not physically in charge there. 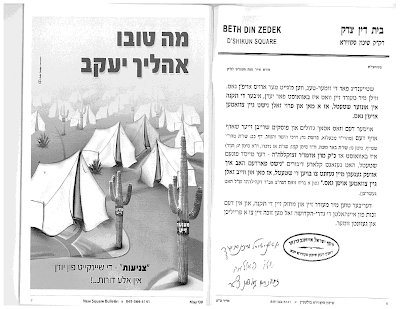 The Edah HaCharedis could no longer claim to be the sole authority, since so many other groups - like Ger, Belz and others - didn't belong there anymore. Why then was a local argument based in Brooklyn transplanted 6000 miles away? The fact that it made it into the papers only worsened things. Why am I writing about this now? I wish I knew. It's not easy feeling Golus in America. I mean New York. The Tri-state area. Monsey Ir HaTorah. You look around and you say such a breitkeit, even in today's tough economic times. Masses of frum Jews going about their business BeKomah Zekufah, not worried about the gentiles. School boards stacked with Jews. Politicians eating out of the palms of our hands. Streets closed because of Hachnosas Sefer Torah, parade, Lag BaOmer bonfire or bagleiten a visiting Gutter Yid. Daily garbage pickup in the weeks before Pesach. You get the picture. Things have changed drastically since the 60's. Speech is watched carefully when it comes to making generalizations about ethnic and Religious groups. Only in radical underground publications will you hear anything about "Jews" controlling etc. 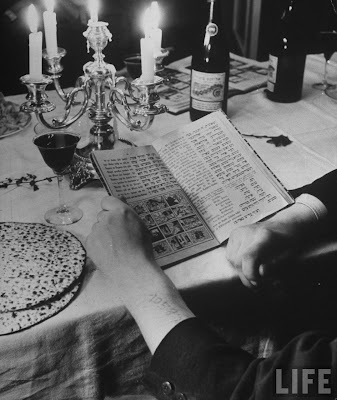 So we sit here and we think we manage to re-educate the masses about Jews, despite thousands of years of education, being spoon-fed anti-Semitism with breakfast in many cases. מעשה שהי' כך הי-ה: I needed to do some last minute shopping before Shabbos Kodesh. (I'll try not to bore you with the details.) I loaded the cart and was checking out - not before having said a few bucks by using my Pathmark card - when Mrs. Tzig calls. She needs mushrooms, she says. Always the willing and able husband, I walk to the car, load the bags with the original purchases, and went back for the mushrooms. Once there, a pineapple was added to the purchase, not that it has any relevance to the story. I approached the checkout counters and chose one that had only one customer ahead of me. Soon after that several people came in to that aisle behind me. One of them - unbeknown to me - was a testy Haitian of the female variety who I guess was having a bad hair day or something, because she was tired of holding a few cups of yogurt in her hands and I was too far back from the customer ahead of me for her to put her things down on the whatchamacallit. So, I'm standing there patiently waiting for the guy ahead of me to finish checking out when I hear "Mister!" "MISTER!" behind me, in a very loud voice. Not thinking that I'd be referred to as such, and maybe daydreaming a bit, I ignored the call, not thinking it was me they were talking to. Then I feel a jab in my back. The ----- had poked me. I turn around to see what that was and she yells at me to move ahead so she can put her yogurts down on the table. Then she tells the person she's talking to on the cellphone "then they wonder why nobody wants to see them around anymore!" I try nicely to tell her "you think I was ignoring you? I didn't hear you!" so she tells her phone buddy: "He says he was ignoring me!!!" By then I realized that there was nobody to talk to. I was part of the white world she so hates and the Jewish one she can't stand. She wishes we'd all be shipped off in boxcars somewhere far away. I realize some of you may think that in the greater scheme of things this incident means nothing, but it was Golus for me. I hadn't had many such run-ins, it was usually not face to face, just a passing car or something like that. But to be tongue-tied, to be so utterly helpless in a town chock full of Heimishes, is nothing short of a G-d imposed Golus. May we have no more such experiences. I was challenged by commenter Meir to look up the Tshuves that were referenced in the Post about the reminder not to walk with your wives that was printed in the New Square bulletin. 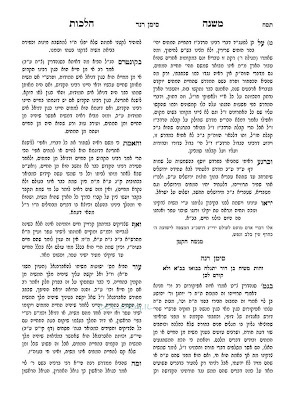 The fact that they referenced Tshuves as well as mentioning a specific Hora'oh from the previous Skverrer Rebbe, zt"l, makes it open to discussion, I guess. 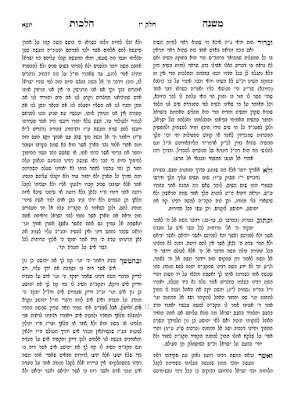 The fact that they quote modern-day Rabbonim and Poskim such as Rav Yonason Steif and the Debreciner Rov makes it even more interesting, since I never saw the DR yell or heard that RYS would yell at couples walking together in the streets of Boro Park and Wiliamsburg. If such obvious transgressions would occur in front of them I'm sure they be mocheh. One of the advantages of doing this blog is that people do you favors and send you material, whether backup or just material of interest. 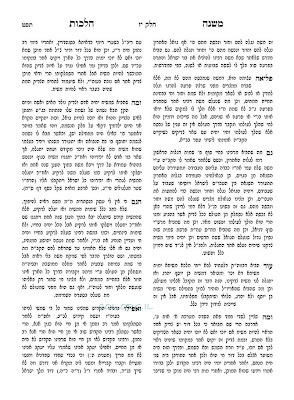 Here we were helped by a daily reader who has at his disposal an Otzar HaChochmah program, and found the Tshuves in אז נדברו AND באר משה they that quote. מהר"ש שטייף didn't make the cut, for some reason. 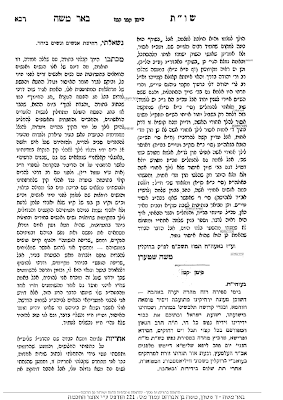 I was quite surprised that Rav Binyomin Zilber zt"l would be so against walking on the street with the wife; not that I knew his shitos very well, but still. It seems like they may have a point here, despite the fact that he sees it as an Hanhogoh Tovah, probably based on the Gerrer Chassidim he saw in Yerushalayim. With the Debreciner it's another story. He seems to be talking about shpatziering en masse, like they do in other cities, not just a quiet walk, or separate sidewalks. With Shayles like these it's tough to get a straight answer. No Rov wants to sound like he was some major Meykel. איך האב נישט קיין פראבלעם מיט א קהלה מאכען תקנות. זאל זיי וואויל באקומען. דער וואס וויל נישט פאלגען קען זיך גיין זוכען אן אנדערען פלאץ. "די רבי ז"ל'ס שווייס און בלוט." נאר איין פראגע האב איך: טאמער די עהרליכע סקווערע ווייבער וועלן נישט שפאצירען מיט זייערע אפגעהיטענע מענער, טא פון וועם דען וועט מען זיך אפלערנען? פון די מאדערנע? I think this video, for all its gyrations, is a snapshot of what part of our society has become. Some of you may not recognize it so I'll do some explaining for those of you out of the loop. What we have here is a young man from Williamsburg, who like many others works for a B&H-like firm. He works there because that's all he can manage. He has no education and he has no zitz-fleish to either sit and learn or get a job teaching. So he works in either the internet sales department, or maybe in the exchange department. I guess he was spared shlepping boxes at the warehouse, being a skinny pickle and all. Soon, we see him get the phone call. THE phone call. Followed by a pink slip. And he's in trouble. First his credit cards are declined - not before he tries to buy at a restaurant with his "benefit" card. How classy. Then his fridge is empty, but he does not despair; he's singing his tune and swinging those hips. He does not fear because he trusts in Hashem. Nobody's knocking his means of trying to go out there and use the limited skills he has to try and feed his family. Nor is he to blame for the culture of luncheonettes and eateries - al taharas hakodesh - that has sprung up in such areas where it was trief - chazzer a very short time ago. All I'm saying is that just like the goyishe music videos are supposed to speak of what goes on in the inner cities of America, so too has this video gives us a snapshot of what Williamsburg has become. A recruiting ground for electronics stores. Not that this is something completely new, mind you, but it is more than ever and in greater numbers. There was always 47th Street Photo, and to his credit many outsiders - including Lubavitchers - got their daily bread from Mr. Goldstein, but that didn't seem to be the face of the community as a whole. Now it does, and דאס איז צו באדויערען. That a G&G suit and beaver hat doesn't keep you from shaking your hips and praising G-d. That your gartel doesn't keep you from being friendly with the homies on Driggs Avenue. And that אראפגעלאזטע פאות doesn't mean you can't fress just like they do on Avenue J. Not that I was never there. I was. In 5753. And I think it was enough for my lifetime. All I remember is that after half an hour of dancing Bar Yochai and Omar Rabbi Akiva and davening Shacharis I was ready to go home. It was hot like Gehenom. There's only so much fruit punch you can drink. The carnival-like atmosphere didn't come from Chabad or from Brelslov, it came from the booths selling everything from Tzion Golan tapes to Michael Jordan t-shirts. Then there was no "derech MeHadrin." Talk about the benefit of the doubt! You people give me none. If there's something you want to see me address and it isn't done immediate;y, then I must be hiding or censoring something. It seems like over the years I've spoiled you into thinking that at any given movement a long post can appear out the blue. I'm glad to hear that, but sometimes more time is necessary, especially when addressing serious matters that often represent the views of many others. 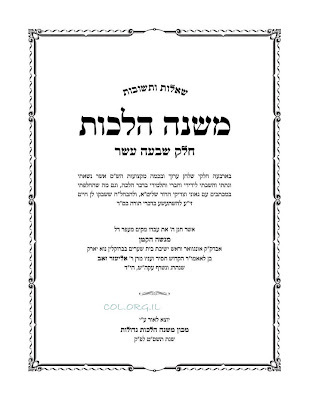 I refer, of course to the recently published Tshuvah in Mishneh Haloches of Rav Menashe Klein where he supposedly called Meshichisten Apikorsim, or something like that. COL saw fit to publicize this Tshuveh, which was recently published in Vol XVII of his sefer, and the result was all hell breaking loose. 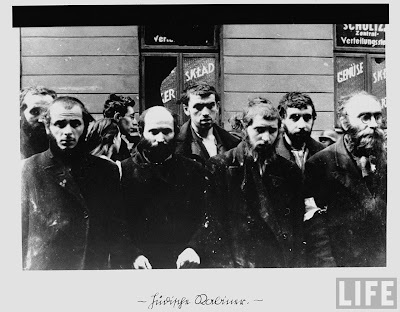 What we ended up seeing was an embarrassing display of Ameratzes, hate and Bizayon Talmid Chochom, which prompted one Lubavitcher Talmid Chochom to say that "if they're not Apikorsim for their beliefs, then they most certainly are for the Bizui of a great posek, one of the few remaining in America. Here's my problem: I'll let y'all in a little secret: Reb Menashe Klein was my mohel. He made my Upsheren. I went to his pre-school. I grew up davening in his shul. 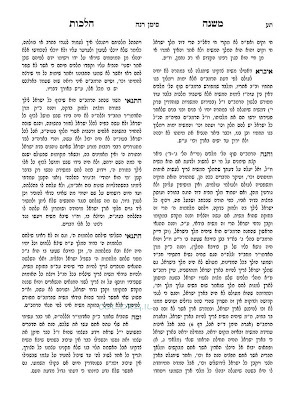 I know every krechtz and every niggun they sing for every shtikkel in davening throughout the year. Well, at least I knew them all, it's been a while since I davened there. Most of the guys who grew up there don't daven there any more, at least not the guys my age, anyway. They all moved to Flatbush, Lakewood, Monsey or Israel. What's left is my parents' generation, some of RMK's family, an some newcomers. But the place is a shell of its old self, despite moving into a new Beis Medrash upstairs, in the "Heichel Zichron Kedoshim." 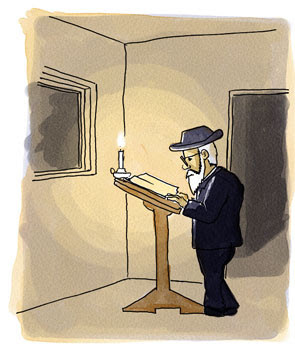 I believe, that if you ask anybody from my generation what they would rather have, an old shul filled with children and singing, or a quiet, empty, new shul made of Jerusalem stone, and they'd ask for the former, despite the lack of air-conditioning on those hot Shabbos mornings. Why do I tell you all this? just so that you understand where I'm coming from. Having said that we can go on to the topic at hand. There seems to be more than issue being discussed here. It's not just whether or not you're allowed to believe that the Rebbe is still Moshiach, or was ever. There's the issue of not accepting another Rebbe, and of going to the ohel as well. In other words he seems to be "attacking" just about everybody in Lubavitch, not just the Meshichisten. That's why you'll be hard-pressed to find anybody that would wholly agree with him on this matter. Not because they think they know better, or because they lack respect for Rabbonim, but because they feel - with all due respect - that RMK is an outsider, he doesn't understand the Chabad Dor Hashvi'i - or any generation for that matter - culture, so he can't really lecture them on they should run their own internal affairs. This despite the fact that the Rebbe had great respect for him, even as a very young man almost 50 years ago. For these matters, most Lubavitchers would tell you, one needs to consult with the Rebbe's sichos or with Lubavitcher mashpi'im, not with outside Rabbonim, despite their good intentions, otherwise we may have to discontinue Shlichus altogether, since many Rabbonim oppose it altogether. Read the Tshuveh for yourselves, we'll discuss it here. 1) At that time there were legitimate arguments made for change in order to survive, of which - in hindsight - none seemed to be the correct answer, and in fact all failed. Which means only extreme kano'us and sacrifice is the answer - which also failed most of the time. Very few of the second generation bought into it, if any. So what was supposed to be the correct answer? 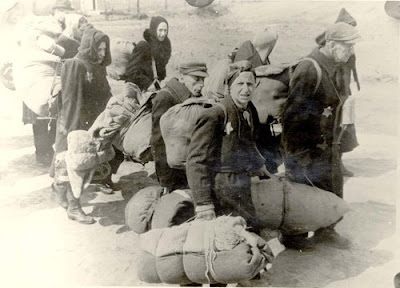 2) At a later time (1930s-40s) many significant changes were indeed adapted (Torah Vodaas, Bais Yaakov, "Limudei Chol", regular use of the English language in and outside of home, including during learning; women AND GIRLS at the workplace - yes, remember "47 strit"?, institutionalized kashrus, fund raising dinners - which are constantly kashered by the MC at the dinner, referring to it a seudas mitzvah , and the list goes on... These changes contributed significantly to the rebuilding of the heimishe communities in the USA. Why was it OK at that point? 3) Are we out of the woods? While things are happening, there is no way of telling if it is successful. So will a later generation look back at us and create a documentary about our failings? How we failed to respond to the pressing issues of our time? When I watch this video I become very emotionally charged by the sad history of our people and their struggles, which some judge very negatively. While no clear answer can be given, it seems that we only admire the martyrs that died - not those that tried. This week's Mishpacha magazine saw fit to take a perfectly good picture and flip it around for no good reason. 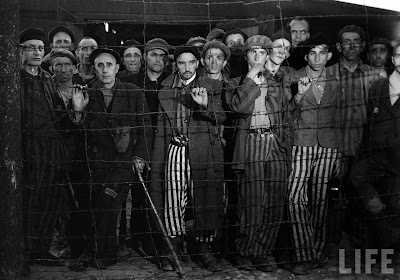 The result was making Jews who were so makpid on wearing their clothes buttoned right over left seem as if they didn't care. How unthoughtful of them. Of what benefit was it to flip the picture? what was accomplished? I dare say that all it did was hurt people's sensitivities without accomplishing anything at all. Also, would someone please tell all the Charedi newspapers and magazines that writing "Rav" instead of "Reb" on every Rabbinic personality sounds cheesy and wrong. 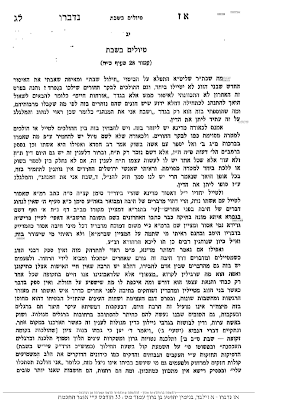 Even the old Artscroll biographies knew that it was silly to write Rav Yaakov when he was known as Reb Yaakov to all. I can just see it: "The Story of Rav Reuven," it just sounds so wrong. Here too; there was no "Rav Burechel," only Reb Burechel, and if you're going to address his as he was lovingly called, Burechel, then do it right! I'll go out on a limb here and call for the return of two things to our culture that seem to be no more: the 3/4 jacket aka drei fertel rekkel, and the trips to resort towns. The jacket, pictured here, is a comfortable alternative to the very long and cumbersome lange rekkel, which was almost to the floor in those days. It's old-fashioned, yet somewhat advanced, and a lot easier to wear on those hot summer days. 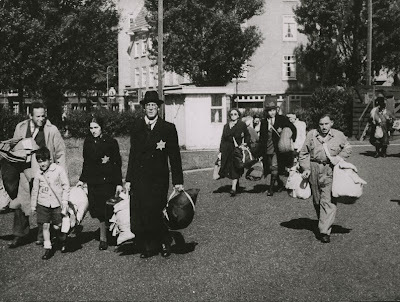 The same goes for the Rabbonim going to resort towns like this one here or Marienbad, Krenice etc. Today they go to Miami or the Catskills and hide amongst their people. Then they would walk the streets with large crowds or at the very least a small entourage behind them. How great the kiddush hashem must've been then! Imagine going to Lake George and seeing a great Rebbe walking along the Main Street with a whole entourage! I say bring those times back!!! Take it for what it is: Berel Wein's version of things. Sometimes objective, sometimes not. Either way it's nice, professional and worthwhile. Rabbi Wein also takes the time to put everything into context, explaining things we may not otherwise understand, and answering questions we may be afraid to ask of those generations. I've had enough fighting, bickering and crying for one week.